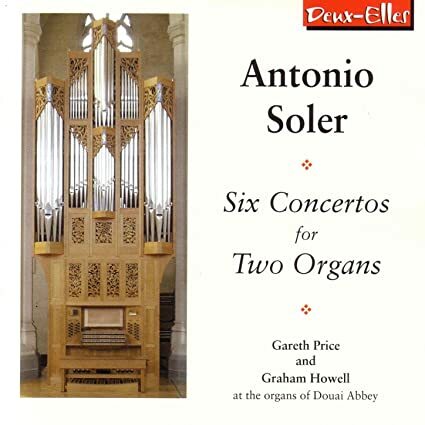 I previously listened to a two harpsichord set of the Concertos for Two Keyboards. I decided I should try the organ version. Unsurprisingly, I rather like this, but somewhat surprisingly, I prefer the harpsichord version. This set is obviously heavier and never generates the same rhythmic snap. It does, however, sound more tonally varied. Pick your poison. 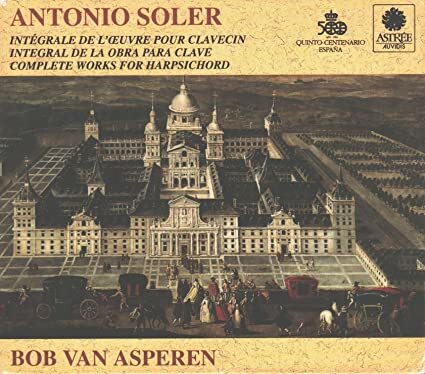 I took some time to work through the nine volumes of Bob Van Asperen's Soler cycle on Astree that Amazon has available for streaming. Asperen is close to the polar opposite of Barbara Harbach. His playing is energetic and energized, generally speedy, and less focused on detail and more on drive. That's not to say that Asperen skimps on detail, just that his approach is not as perhaps overly prepared as Harbach's. There's also something of the sense of adventure and discovery evident in Scott Ross' great Scarlatti set. One almost gets the sense that the keyboardist just learned a sonata and was eager and excited to record it. It makes for at times bracing listening. Almost all of the sonatas come off well, with the Fandango a most pleasant diversion. The individual standout sonata, though, is 60b, from volume eight. It's something. I think I should try Gilbert Rowland's set, which, as luck would have it, can be streamed in its entirety. Here's a surprising disc. I don't recall ever even having seen the name André Gorog before. But this recording popped up while looking for things to stream. I'm glad it did. This is punchy, staccato laden, snappy and generally quite fun playing. 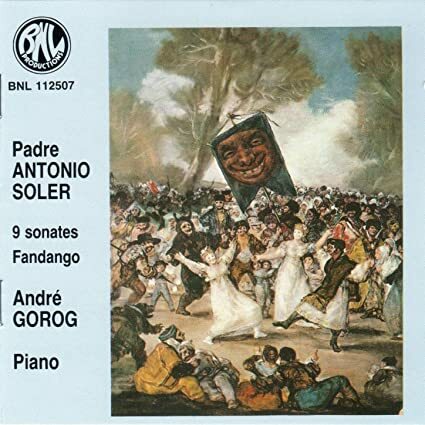 It does not offer the last word in nuance - it's sort of the opposite of Mare Luise Hinrichs - but Gorog plays some fine Soler. The Fandango sounds just nifty. 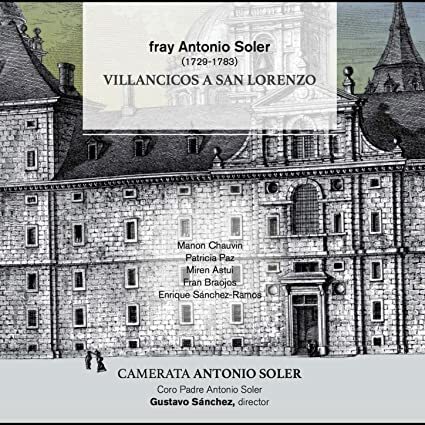 Some choral works from Soler. 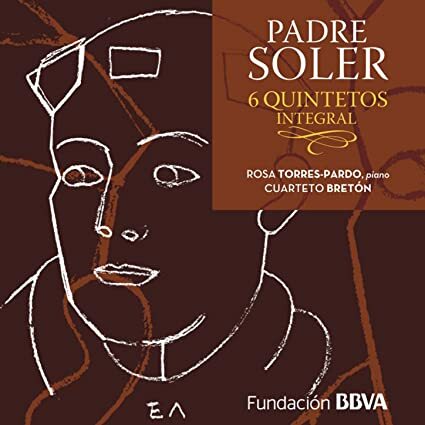 Undeniably baroque and very Spanish sounding - meaning it shares some stylistic similarities with other Spanish baroque music I've listened to - the disc starts off a bit less than maximally engaging, but quickly picks up. Not Bach or Handel level, perhaps, but well worth a listen. The ensembles, named after the composer, do some good work. Maybe Glossa can do a complete Soler set. 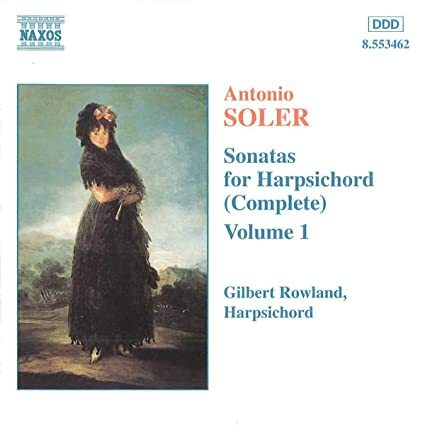 I worked my way through Gilbert Rowland's Soler set, and I have to say, it seems like a Goldilocks set. More energetic and engaging than Harbach, and more meticulous and studied - though not overstudied - than Asperen, it seems to get everything just about right. The now vintage recordings are a bit distant than the other two sets, and the instruments, as recorded, lack some body, but those are minor concerns. Rowland brings out all the goodness in Soler, almost to Marvin levels of commitment at times. I should probably try Rowland's Scarlatti now. Rowland’s Scarlatti is my hands down favourite for the long run. AFAIK only half of the sonatas have been issued. I’ve never been able to complete the series. Well I just did a scientific experiment. I listened to 117 and 130, they're the first two sonatas in Asperen v.12, and I listened to them played by Asperen and Rowland. In op 117, what Todd said seemed pretty true, Rowland is indeed "more meticulous and studied - though not overstudied - than Asperen." But in 130 Asperen seems to me to find a lyrical, poetic, melancholy, which eludes Rowland. Go figure.